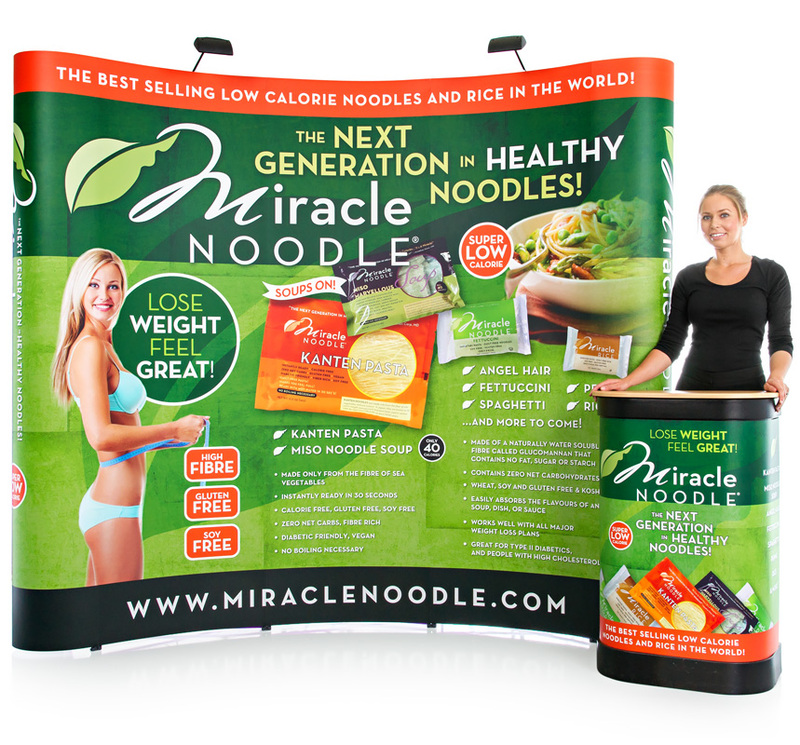 Pop Up Stands are one of the most popular exhibition stands available on the market. They are easy to use, portable, lightweight and great value for money. At XL Displays we have just expanded our range of pop up display stands to offer a greater selection of these versatile display systems. From our standard pop up kits, which include all the basics you need, to large format linked pop up systems, which create stunning exhibition stands. There really is a pop up display solution for every exhibition need. 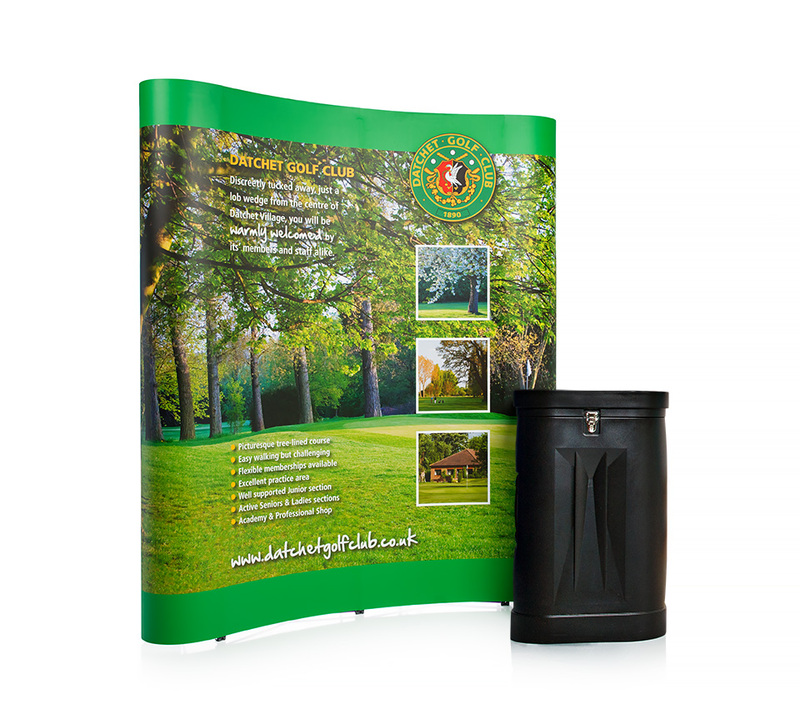 If you are on a tight budget then our pop up stand kits are ideal. Each kit includes the hardware (frame and magnetic bars), printed graphic panels and a wheeled case for storage and transportation. With prices starting at just £319 these kits are great for a shoestring budget, while still providing a professional and high quality display stand. If you want a bit more than the basics then it is easy and cost effective to upgrade to our full pop up exhibitor kits. These include everything you get in the standard kit PLUS spotlights to illuminate your stand and a printed wrap and beech top for the case. These will convert the case into a promotional counter which can be used as a meet and greet point or for product display. 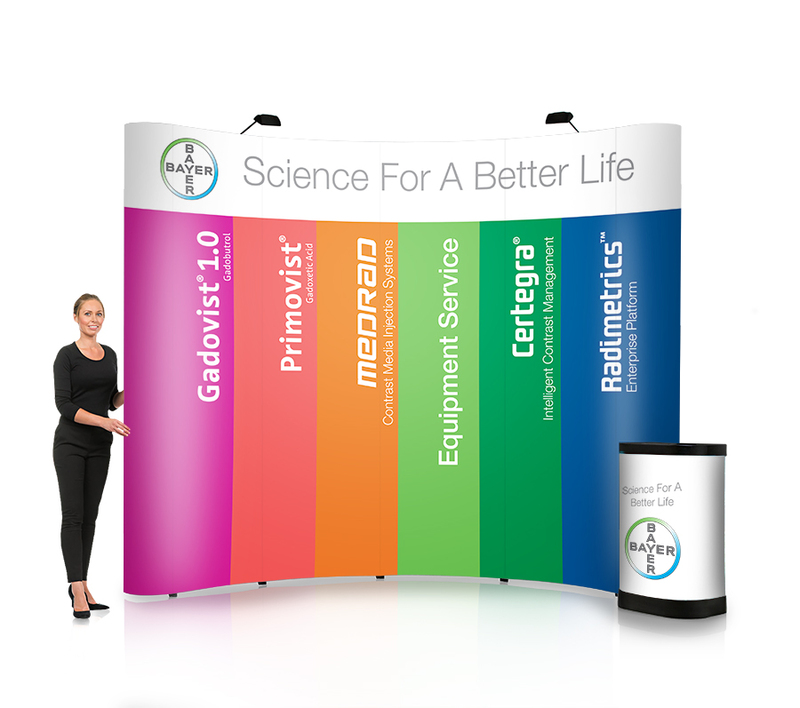 Our standard pop up stands are 2.2m high and vary in width. However, if you require something bigger we now offer Jumbo Pop Up Stands – available in widths that range from 1.2m to 4m, these stand at 3m tall and are ideal to create a large scale exhibition display. If height restrictions are an issue at your exhibition venue then our Midi Pop Up Stands might be a better fit. These are only 1.8 metres high and narrower so are ideal for smaller spaces. We also offer a table top pop up stand which utilises the same components of a pop up frame and graphic panels but on a much smaller scale. Standing at just 1.2m high and 1.4m wide, the mini pop up is an ideal table top display for small exhibition stand spaces. Why not combine with a custom printed table cloth to complete your stand. Did you know that you can create a large scale, custom built exhibition stand by simply using pop up stands? With ingenious design and the clever use of linking panels, pop up stands can be joined together to create an exhibition stand to suit your needs perfectly. 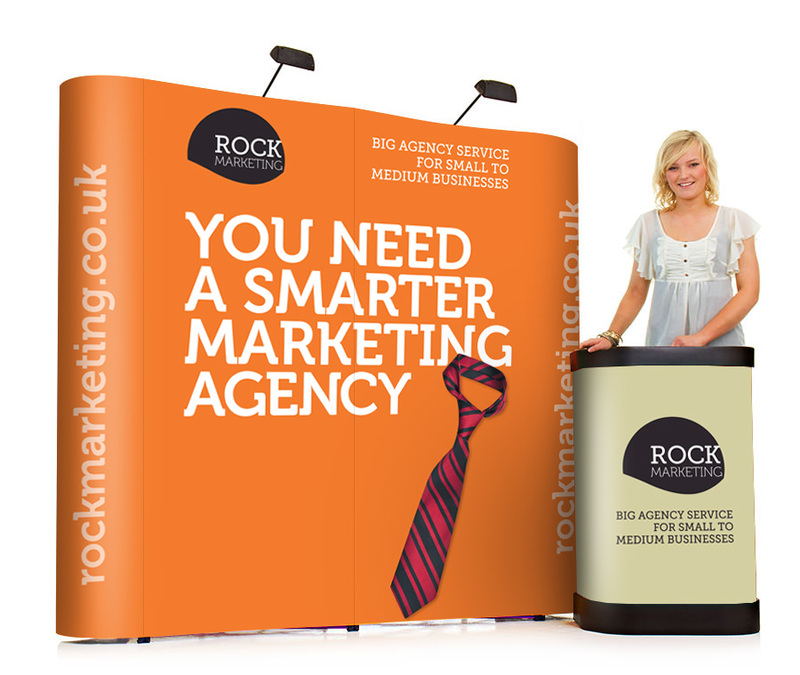 Our range of linked pop up stands introduces inspirational ideas of what can be achieved. All of which will pack down into the wheeled carry cases provided, making these large exhibition stands as portable and easy to assemble as a single pop up stand. To complement our pop up stands we offer a wide range of pop up accessories. These include pop up counters, monitor brackets, shelf units and monitor stands. Accessories are a great way to enhance your exhibition stand and add the finishing touches. 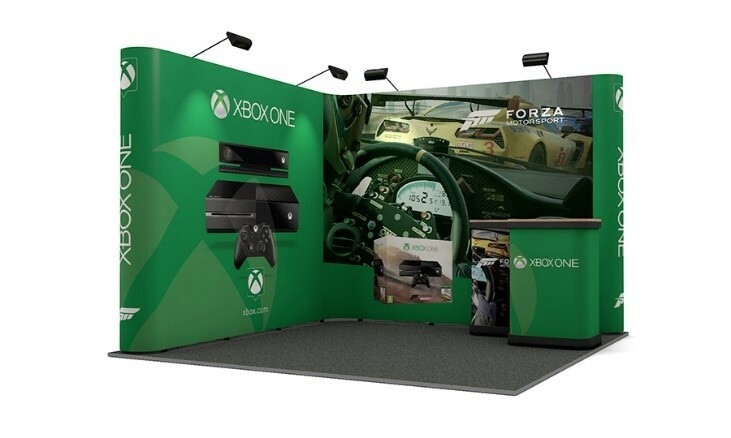 Why choose XL Displays for your Pop Up Stand? Easy to order: we offer an easy online ordering process and you can even upload your artwork online. Experience: our experienced sales advisors are on hand to help you with any queries you may have about our pop up stands – call on 01733 511030. Award winning: our award winning customer service and aftersales care is second to none – we will be in contact with you throughout the ordering process and will call you once your pop up stand has arrived to ensure you are completely happy with the product. Artwork checks: we offer free artwork checks to ensure your artwork will result in the best possible print. Quality print: graphics are printed in full colour to photo quality standard. All panels are laminated with crystal laminate to protect from damage and provide crease, tear and scratch resistance. This results in longer lasting artwork which can be used again and again. Quality assurance: we print, manufacture and test build all pop up stands at our premises in Peterborough. We will not dispatch a product unless it meets our high quality standards and we are completely happy with it. Graphic design: if you do not have artwork we offer a graphic design service and one of our talented designers can take your design brief to create a pop up stand in line with your brand and requirements. Fast delivery: all of our pop up displays are dispatched within 72 hours on a next day courier delivery service. If you need your display quicker we can offer an express delivery service for an extra charge. Customer reviews: our customers are our best advocates – please visit independent review site Trustpilot to see how our customers review us. For more information on our pop up stands please contact us or call us on 01733 511030.